Now onto May's prize pack! The prize pack for May is sponsored by Hannah and the lovely people over at Faber books. 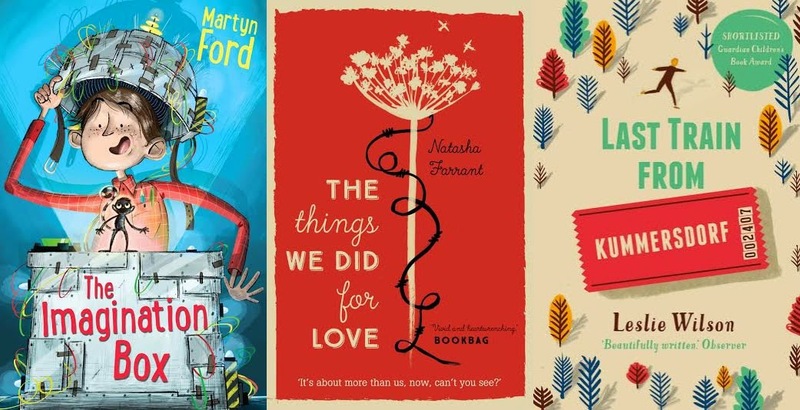 And the winner at the end of the month will receive a copy of The Imagination Box by Martyn Ford, The Things We Did For Love by Natasha Farrant and The Last Train From Kummersdorf by Leslie Thomas! Thank you again, Hannah! I've heard really good things, Michelle, I'm hoping to give it my full attention very soon. I am trying to link up more this month. I have to have goals!